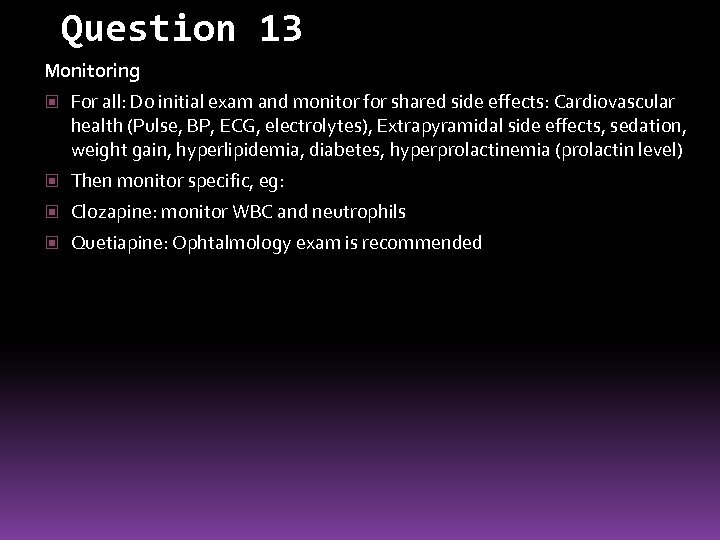 Questions: Q 1. 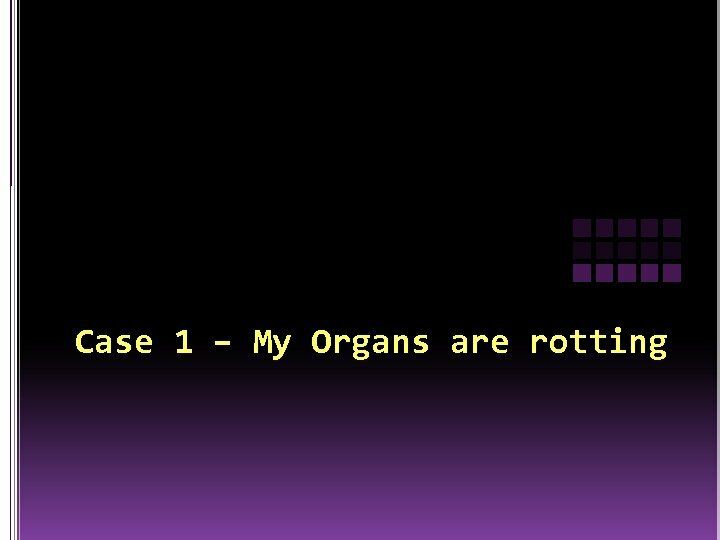 What is your provisional diagnosis and differential diagnosis? Justify the reasons for your answer. Q 2. 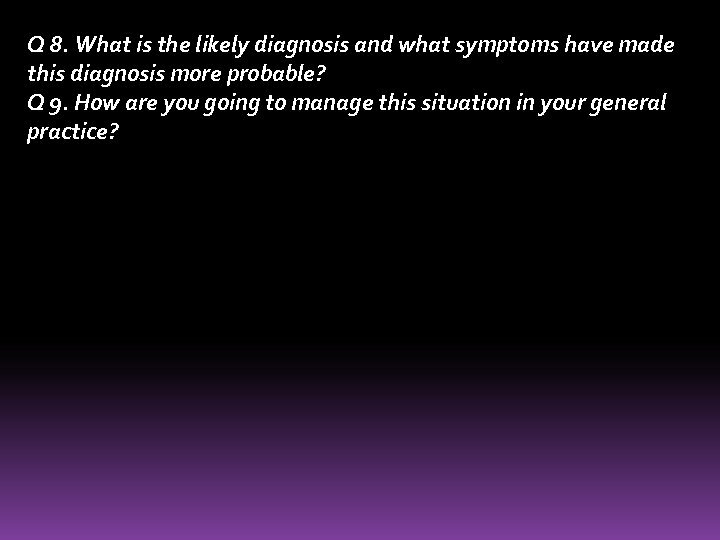 What further information would you seek to clarify your diagnosis and management - justify each of your answers? Q 3. What physical investigations would you request - justify each of your answers? Q 4. 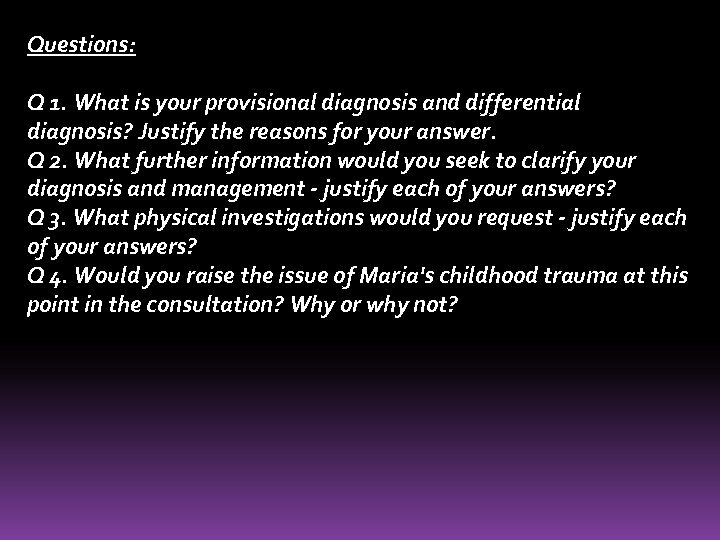 Would you raise the issue of Maria's childhood trauma at this point in the consultation? Why or why not? 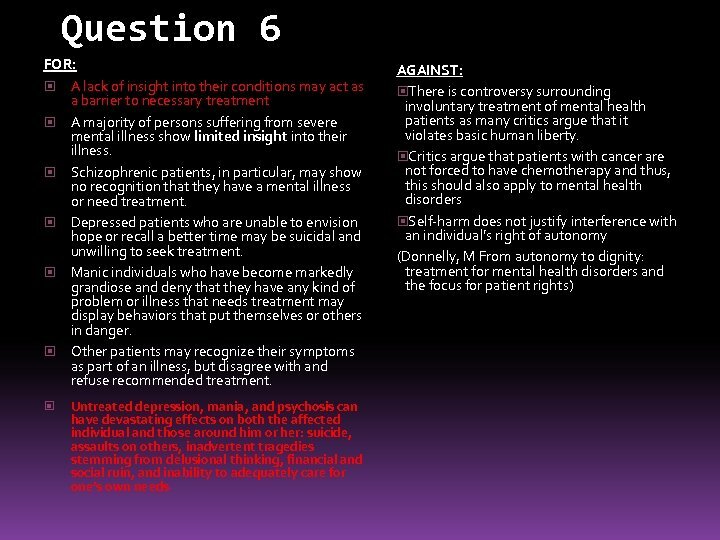 Trigger 2. . . : Other -Not eating anything - Refusing to go to hospital but agree to see private psychiatrist Questions Q 5. 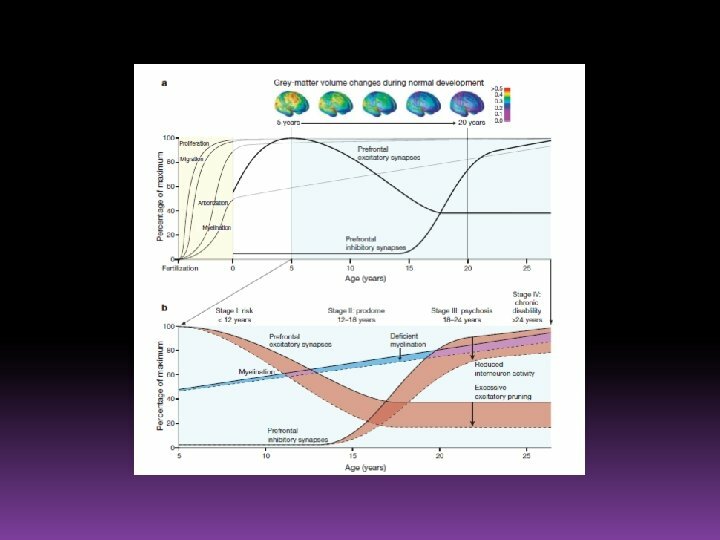 What treatment options are available at this time? Q 6. 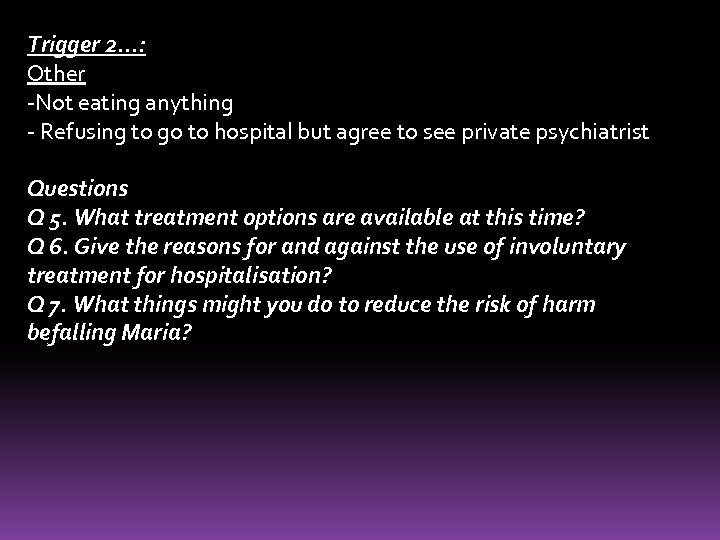 Give the reasons for and against the use of involuntary treatment for hospitalisation? Q 7. What things might you do to reduce the risk of harm befalling Maria? Q 8. 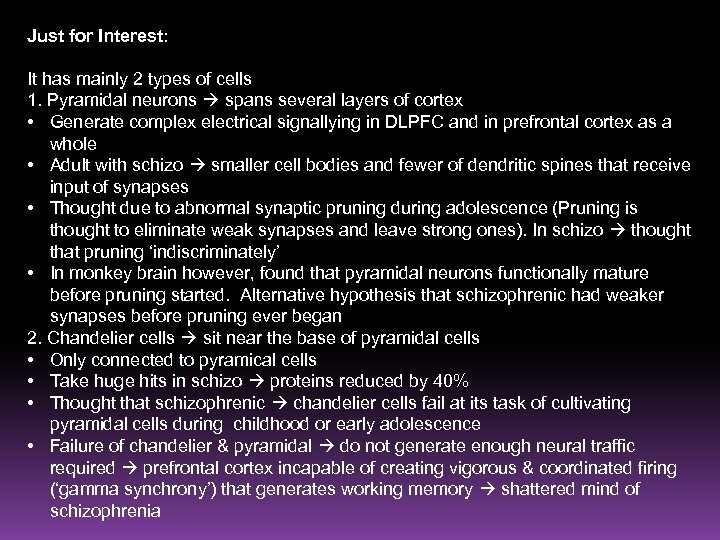 What is the likely diagnosis and what symptoms have made this diagnosis more probable? Q 9. How are you going to manage this situation in your general practice? 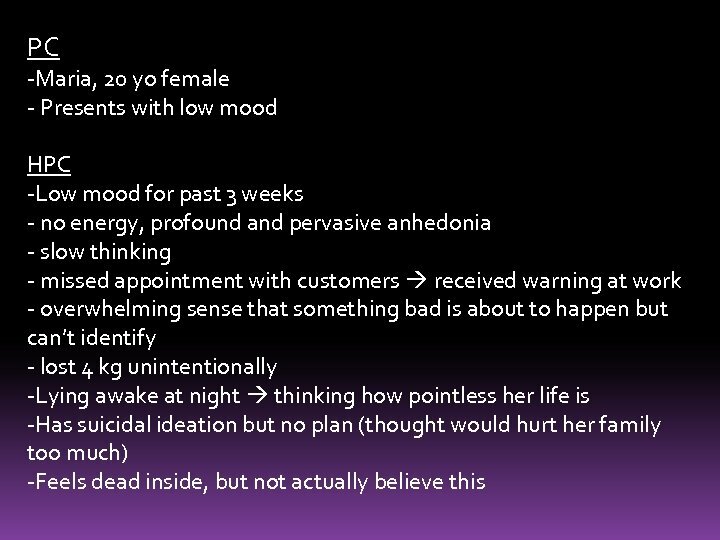 Trigger 3 -BIBA to hospital -Continues to express that she is dead and rotting inside -Refuses to eat, drink, wash or bathe -Treated as involuntary pt under MHA -Plan: ECT father angry as mother was never the same after receiving ECT and mother had bruising from being held Q 10. 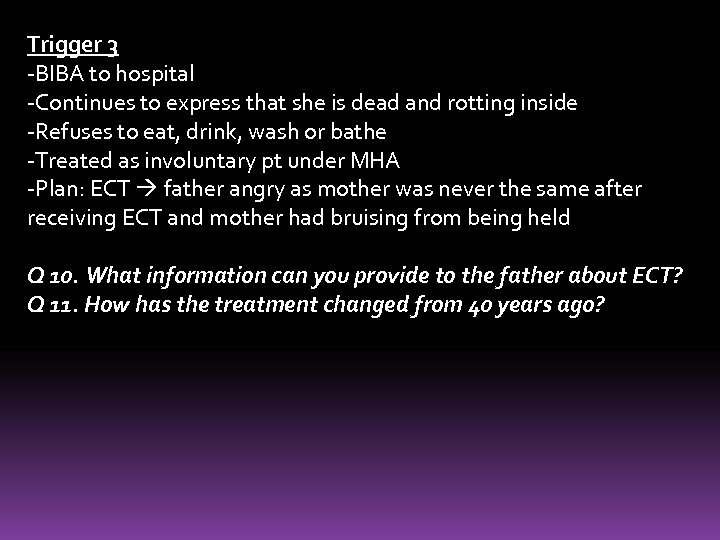 What information can you provide to the father about ECT? Q 11. How has the treatment changed from 40 years ago? 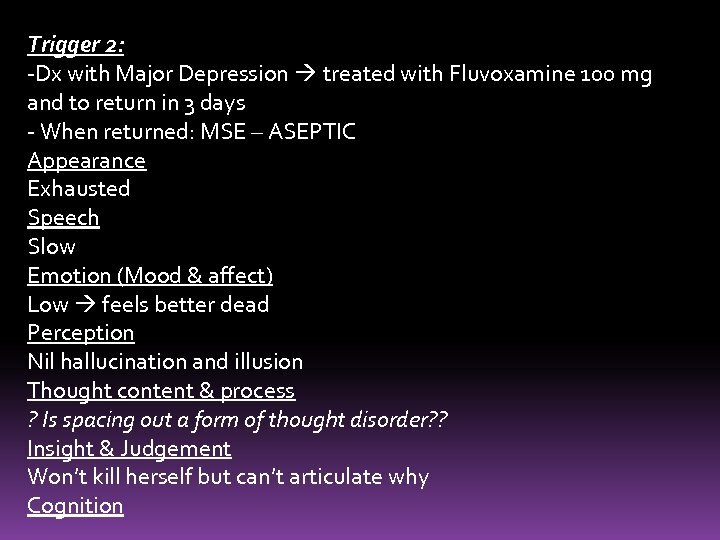 Trigger 3. . . -Returned 1 month later to see you -Dx with MDD with Psychotic Features -Medication: Venlafaxine XR 225 mg Mane and Risperidone 2 mg Nocte -Euthymic & little recollection of events prior to hospitalisation Q 12. 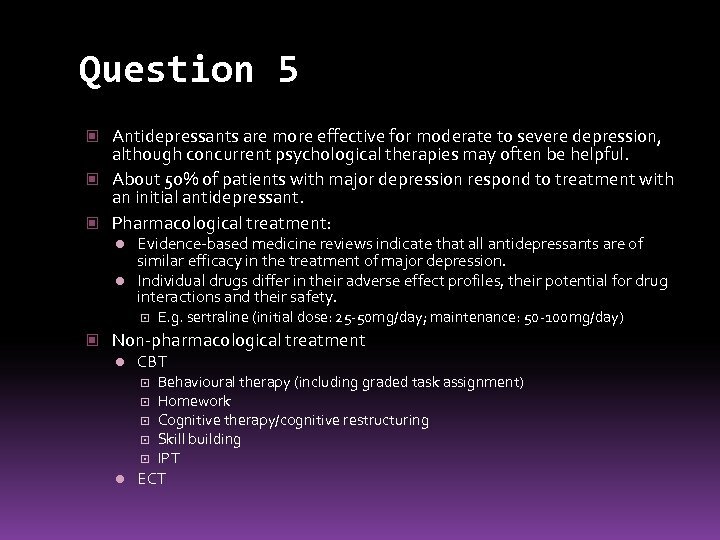 What advice will you give Maria regarding side effects of the antidepressant and the atypical antipsychotics such as risperidone? 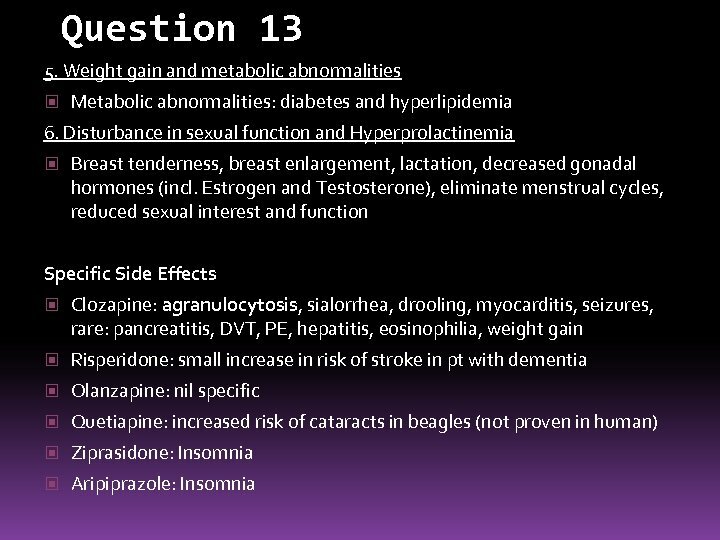 Q 13. 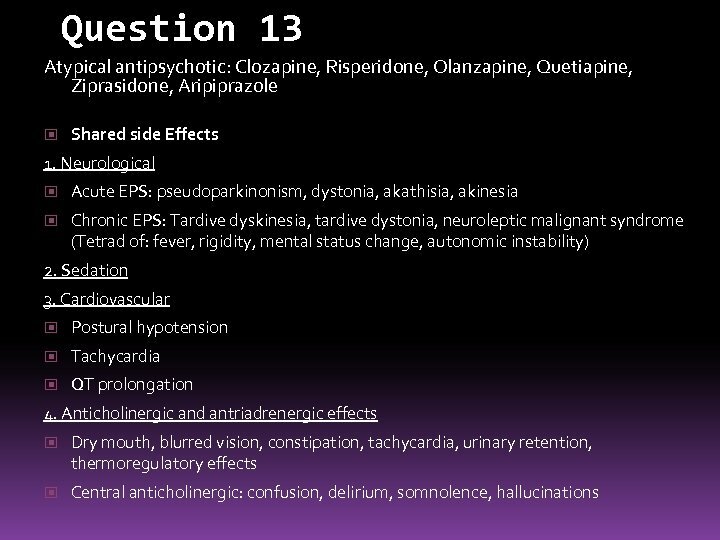 What physical examination and investigations will you do at base line and follow up for a patient on atypical antipsychotics? Q 14. 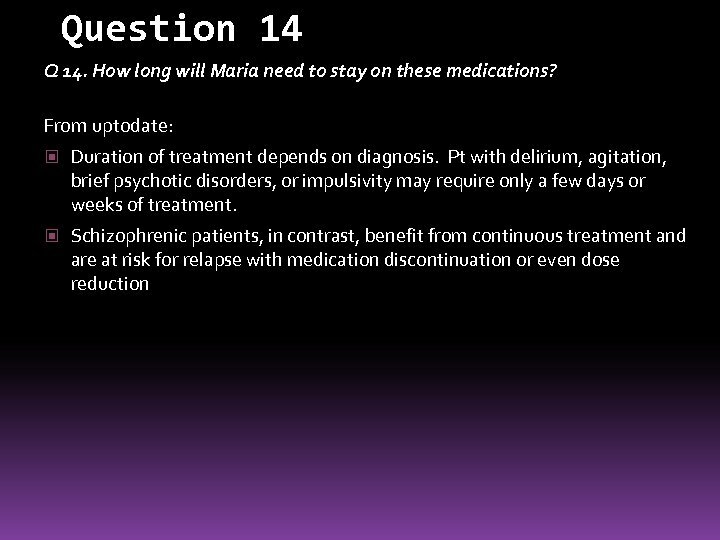 How long will Maria need to stay on these medications? Q 15. 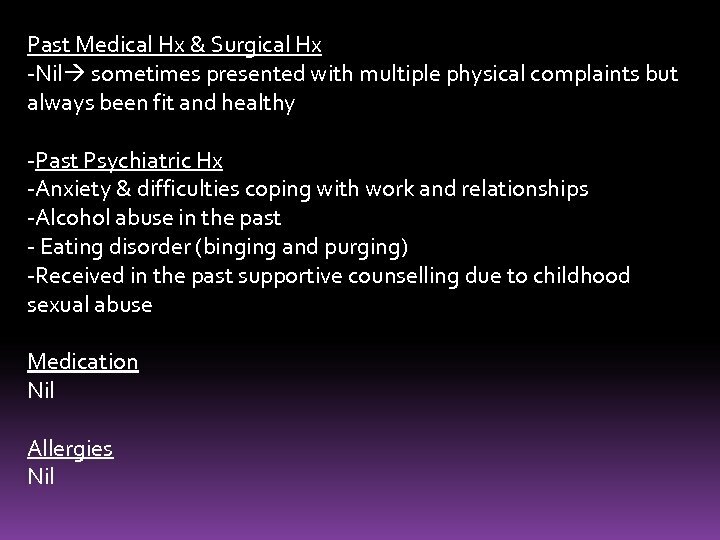 During one of her appointments, Maria asks if the abuse she experienced in childhood is the cause of her psychotic depression? 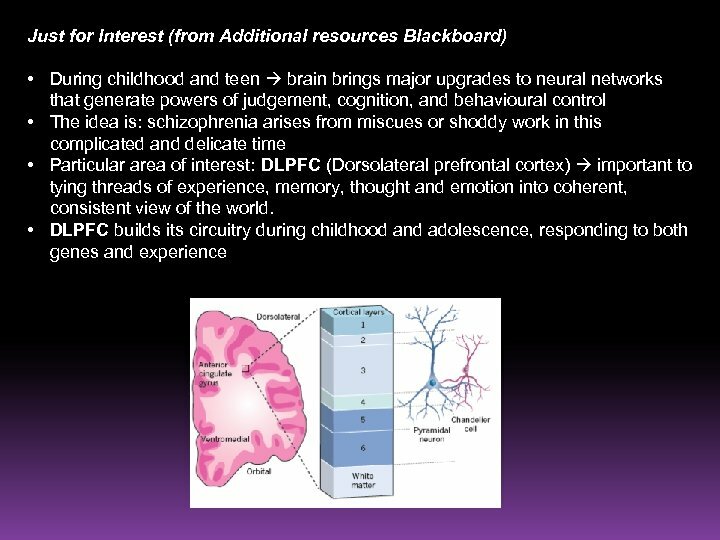 What is the association between the childhood trauma that Maria experienced and her psychotic depression? 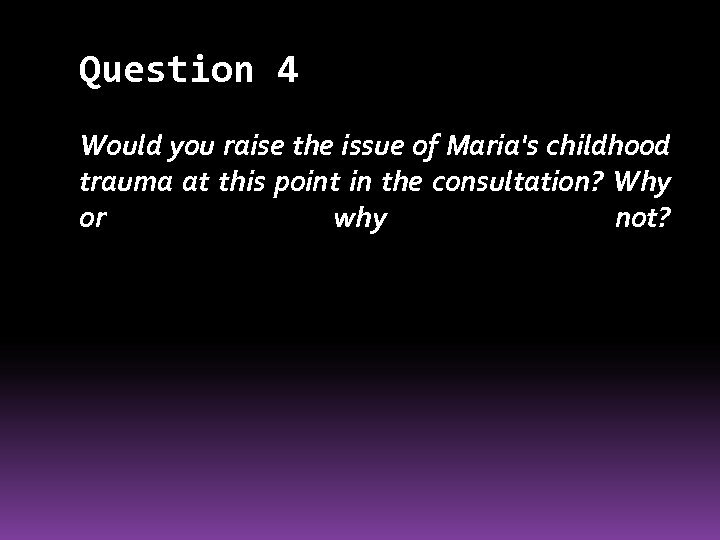 Question 4 Would you raise the issue of Maria's childhood trauma at this point in the consultation? Why or why not? 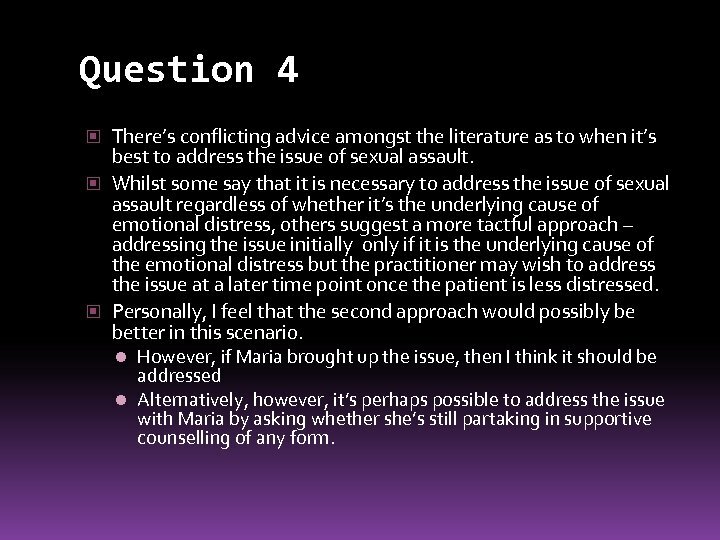 Question 4 There’s conflicting advice amongst the literature as to when it’s best to address the issue of sexual assault. Whilst some say that it is necessary to address the issue of sexual assault regardless of whether it’s the underlying cause of emotional distress, others suggest a more tactful approach – addressing the issue initially only if it is the underlying cause of the emotional distress but the practitioner may wish to address the issue at a later time point once the patient is less distressed. Personally, I feel that the second approach would possibly be better in this scenario. 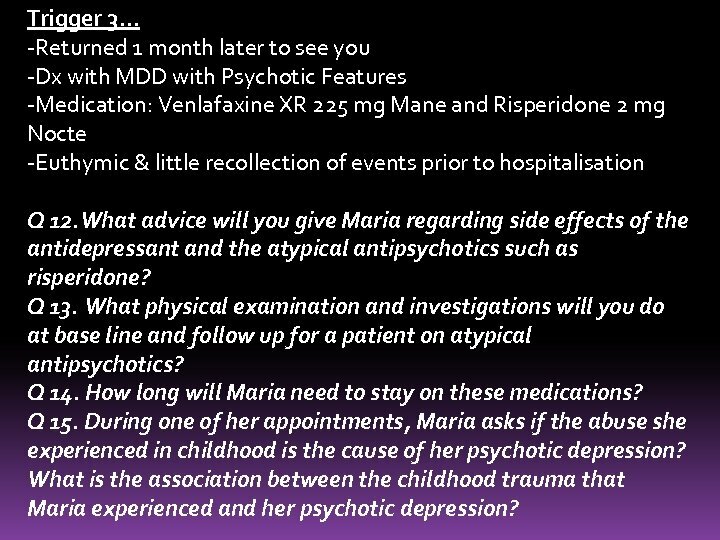 l However, if Maria brought up the issue, then I think it should be addressed l Alternatively, however, it’s perhaps possible to address the issue with Maria by asking whether she’s still partaking in supportive counselling of any form. 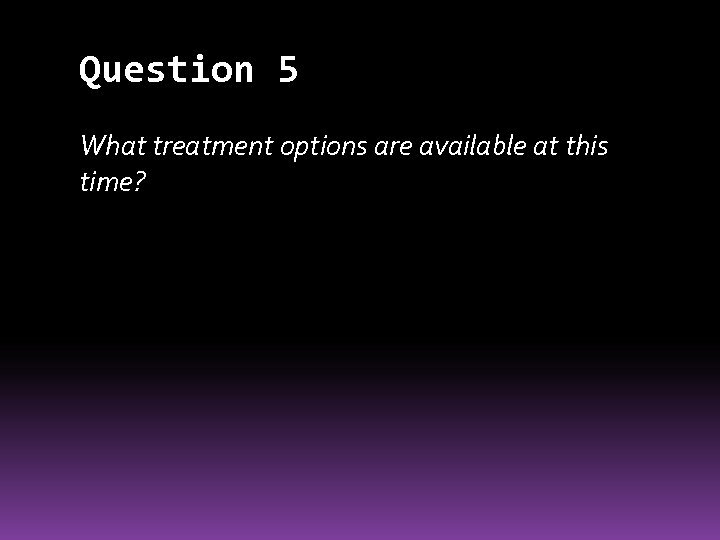 Question 5 What treatment options are available at this time? 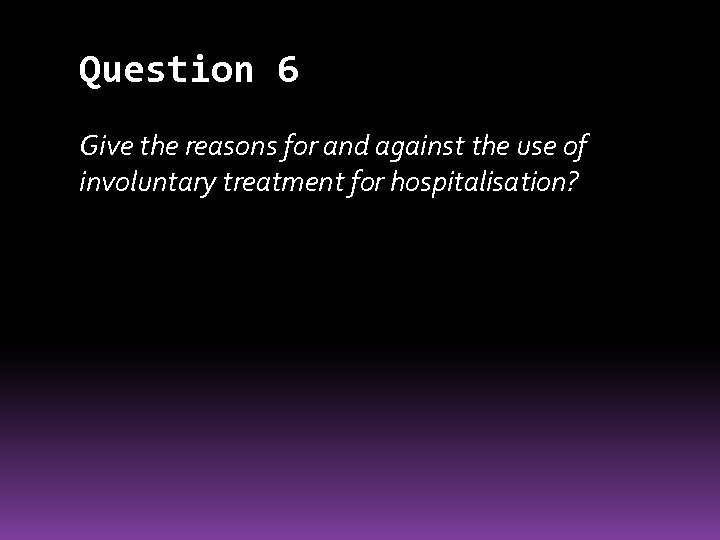 Question 6 Give the reasons for and against the use of involuntary treatment for hospitalisation? 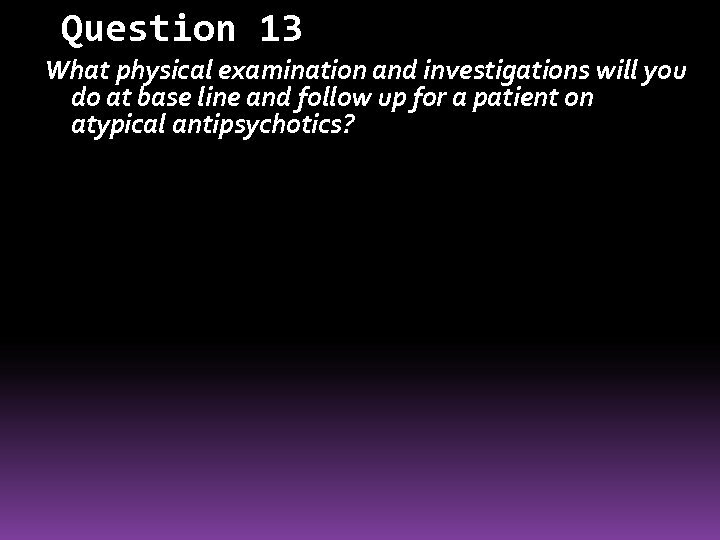 Question 13 What physical examination and investigations will you do at base line and follow up for a patient on atypical antipsychotics?